Jews Being Largely an Evil Group Debunked!! Most push for social democracy EVEN the rich ones. Last edited by pitbull on April 15th, 2019, 7:04 am, edited 1 time in total. Re: The Jews Being Largely an Evil Group Debunked!! This would seem to confirm that they are largely evil. Based on economic data and the World happiness report, social democracy seems to be the best political, social and economic system available. As of 2016, Switzerland had the highest average wealth per adult, at $570,000 and Australia hasn't had a recession in 27 years. Social democracy even inspired the creation of this website, happier abroad. Maybe your data is based on personal experience with Jewish management that you felt was unfair... like the cancellation Dukes of Hazzard, Honey Boo Boo, Duck Dynasty, etc. As explained in above link, that's capitalism. 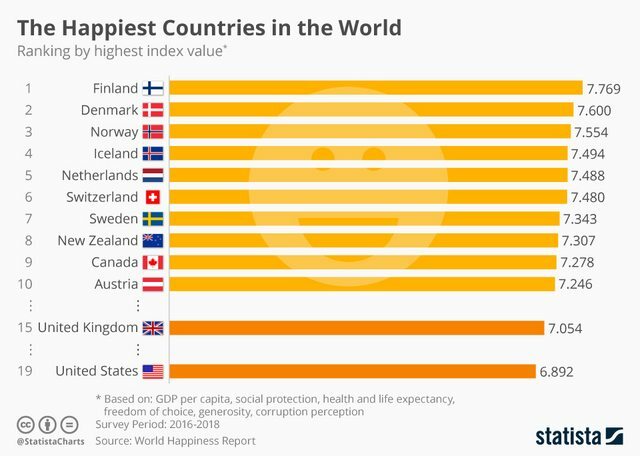 Based on economic data and the World happiness report, social democracy seems to be the best political, social and economic system available. Alright, so your posts are becoming completely silly. Not really worth replying to as there are any number of reasons you will be banned anyway. Where are you copying and pasting from this time? Re: Jews Being Largely an Evil Group Debunked!! Sometimes I read 20 books a week. The average person reads approximately 200-300 words per minute. I'm at 1300 with full higher comprehension. Sorry, this was already addressed and proven false. Absolutely hilarious. If I took this seriously you know what I would say, but of course you are not serious. You are a troll and the appropriate response would be for me to ignore you and the mods to ban you. At least you are a somewhat talented troll. Perhaps you should seek government employment as a troll and put this on your resume. I'm serious. I have. It's not hard to look up. Try Google. Surely Hasbara has an opening for someone with high spirits and a sense of humor -- a counterweight to the pious, dissembling little turds they normally employ. Did you ever see The Big Lebowski? If so you know the line that is inserted here.